We offer Video Message Recording at no additional cost! That’s right, unlike other companies our booths have video recording capabilities, and we include it for FREE! Let your guests leave you with a special video message to make your event truly memorable. Our photo booth offers the classic elegant look with all the modern features! 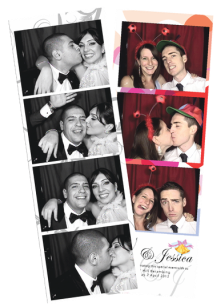 Photo booth packages with unlimited prints and Video Recording from $750*! Price guarantee - We will beat any competitor price¹! Fun for all groups and ages!